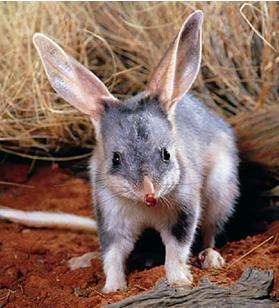 the bilby is the subject of intense conservation efforts. In the Habitat Reference Library (below) to open a document, simply click on the document name. To find a document use the Search tool on the right. If you get error messages click through them and be patient . 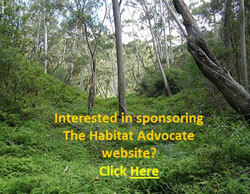 If a document cannot be downloaded, then please send us an email to ^info@habitatadvocate.com.au and explain your error. We shall endeavour to resolve the error quickly. We aim to make this site as easy to use as possible and so will appreciate constructive feedback. We have included some logic into the document indexing. The first two characters in the code ‘HT‘ stand for Habitat Threat, which are followed by two digits equating to the Threat Type per the following list. This allows us to potentially have up to 10,000 uniquely referenced documents for each threat type, which at present seems a tad ambitious. Future upgrades of this website are planned to utilise a query-enabled relational database.